The yearly recollection of our First Communicants and their parents was held last October 20, 2018. 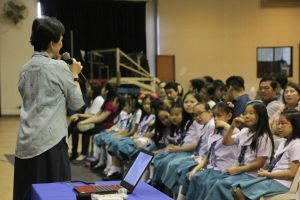 Under the supervision of Sr. Lorna Erickson, MIC, the ICA Mission Office Head, and the assistance of Sr. Nancy Vy-So, MIC, the Parent Engagement Program Coordinator, parents and daughters were given special moments to bond and pray for one another. Sr. Lorna started the day with an orientation of what was prepared for them and at the same time she reminded everyone of the importance of the activity. This was followed by a moving guided prayer by Sr. Nancy. 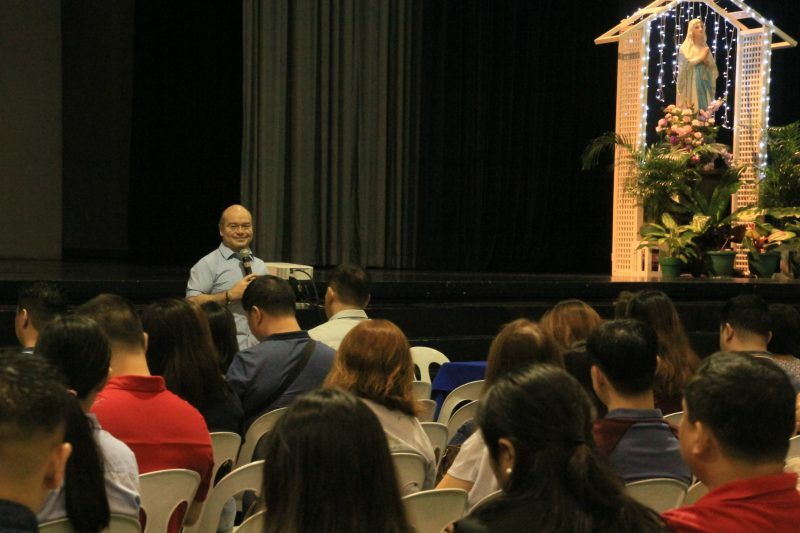 And to inspire more the parents, Mr. and Mrs. Robert and Karen Zialcita shared their own experience in helping their kids to be closer to Jesus. 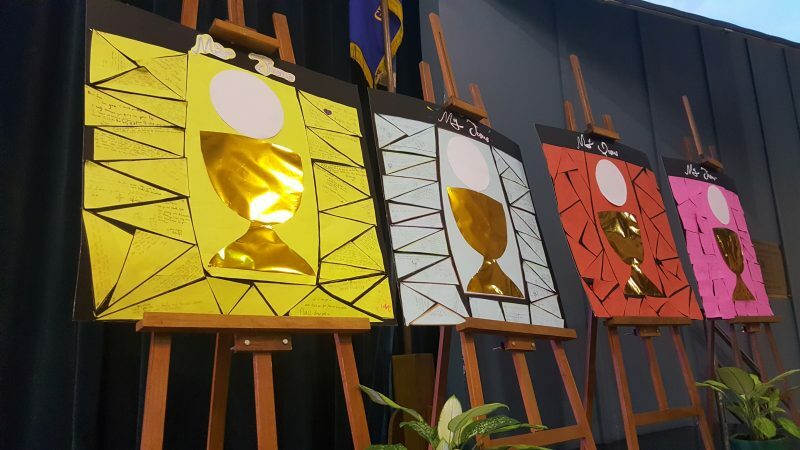 They also enlightened everyone about the importance of the Holy Eucharist as the center of family life. 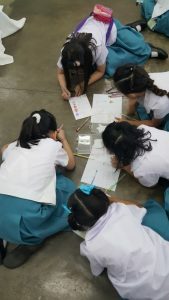 Meanwhile, the Grade 3 pupils had their special activity inside their classroom which was facilitated by the CLE teachers and some Grade 2 teachers. They later joined their parents again in the celebration of the Holy Eucharist which was presided by the school chaplain, Fr. Guy Peter Guibelondo, SJ. 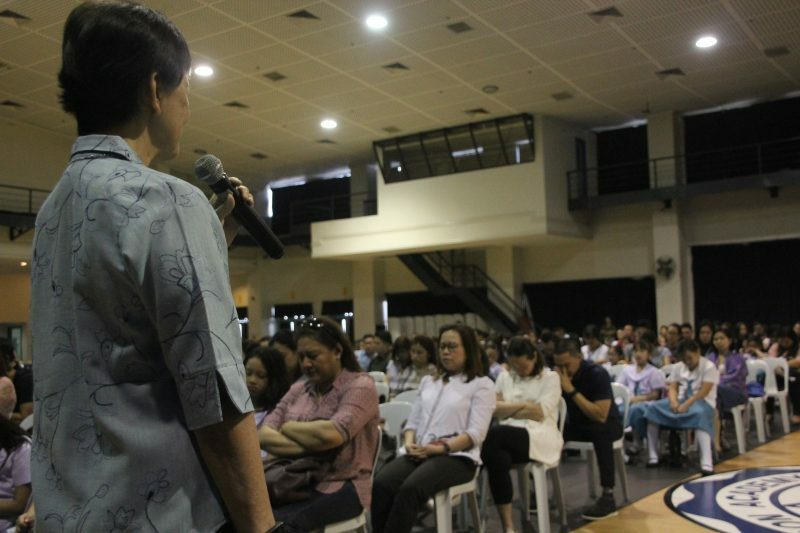 Thanks to the effort and selfless dedication of the Parent Level Representatives under the leadership of Mrs. Irene So Olivares, the recollection was well attended. May Jesus, who is the reason for the gathering, be praised now and always.